In the first 6 months of 2015, the Chinese megacity Chongqing posted the country’s highest growth rate, 11 per cent, just like it did in 2014 with a growth rate of 10.9 per cent. Not yet a household name in Europe, Chongqing municipality, which is twice the size of the Netherlands and home to more than 34 million residents, 9 million of which live in the core city, is well known in China. Not only for its spicy hot pot and foggy weather, but, more importantly, for its rapid transformation from a dusty traditional industrial city into an advanced manufacturing and services center, in particular in areas such as IT, medical and automotive industries. Today the municipality is the largest shipping center on the upper reach of the Yangtze and more than two hundred of the World Fortune Top 500 companies have set up branches in this emerging metropolis, among them Hewlett-Packard, BP, BASF, and Carrefour. Chongqing is doing well and officials have great ambitions for the municipality’s future. Recently they have been promoting the city as the ‘strategic pivot‘ of China’s Silk Road Economic Belt, and as industrial hinterland of the Maritime Silk Road (One Belt and One Road (OBOR)). Is this wishful thinking or does Chongqing really have the potential to play a central role in the OBOR strategy? And what do they have to offer Dutch business? Favorably located in the upstream Yangtze River basin, the city has long been recognized for its potential as a major transportation hub. As early as 1891 it became the first inland commerce port to open up to foreigners and during World War II, with the Kuomintang government and more than 30 embassies moving to the city, Chongqing became China’s provisional capital. Many industries followed the KMT government, helping Chongqing to industrialize at a fast pace. In 1997 the development of Chongqing got a new boost when the city and its neighboring areas and towns became the 4th national-level municipality, after Beijing, Shanghai and Tianjin. Over the past decade Chongqing has been able to benefit from being designated in 2007 as a ‘key region for comprehensive experimental reform’, and the establishment in 2010 of the Liangjiang New Area national level development zone. Liangjiang New Area has become the engine of Chongqing’s growth. The area includes Jiangbei International Airport; China’s largest inland port: Guoyuan Harbor; Lianglu Cuntan Port; and the YuXinOu – Chongqing-Xinjiang-Europe – International Railway. Chongqing thus forms a traffic hub that integrates railway, highway, shipping and air transportation. The municipality has announced that it will invest up to US$190 billion in infrastructure by 2020, including the constructing of a new shipping center. With the latter Chongqing will establish itself as the western hub of the so-called ‘Yangtze River economic belt‘, an initiative launched by China’s State Council in 2014. Reflecting the aims of OBOR, the initiative aims to develop the Yangtze River into an inland river economic belt, linking China’s huge inland markets to the Silk Road economic belt and offering opportunities for foreign investors to expand China’s inland markets. Another infrastructure project Chongqing invests in is the YuXinOu (Chongqing – Xinjiang – Europe) international railway, which connects the Chongqing Free Trade Port in the Liangjiang New Area with Duisburg (Germany). Transportation via the YuXinOu railway takes an average of only 15 days which means goods are delivered twice as fast as via the traditional maritime routes through China’s coastal ports. While one-fifth of the costs of air transportation, railway freight costs are much higher than shipping transport and its volume capacity is much lower. This overland connection, therefore, is only interesting for specific products that are not too voluminous and that benefit from a quick delivery. One of the products that Chongqing has started transporting via the YuXinOu Railway to Europe is coffee, which is produced in large quantities in the neighboring province of Yunnan and in other nearby Asian countries and bought by European companies such as Nestlé. In cooperation with Hogood Co. (后谷）one of China’s major coffee producers, Chongqing YuXinOu Logistics Company plans to transport 30,000 – 50,000 tons of coffee to Europe in 2015. By 2018 Chongqing hopes to transport over 1 million tons of coffee from countries like Vietnam and Indonesia, to Europe and the megacity’s aspiration is to become the world’s third-largest coffee futures market after New York and London. Chongqing furthermore invests in the development of the region as a base for emerging sustainable industries. On June 15, for example, Liangjiang Zone launched a large-scale industry fund of CNY 20 billion ($3.22 billion) to support emerging industries such as robotics, shipping, medical innovation and green automobiles. As fastest growing region in China, gateway to the huge domestic consumption market in the west of China, and beneficiary of preferential policies, Chongqing has much to offer as OBOR hub and as destination for foreign investment. The presence of Dutch business in Chongqing is still rather limited but the Dutch government has recognized the growing importance of the megacity: in 2014 it opened a Consulate-General in Chongqing which focuses on helping Dutch companies expand their business in West China. Chongqing, in its turn, opened a Government Logistics Council Office in Rotterdam, which seeks to help Chongqing benefit from the logistics advantages of the Netherlands. Opportunities in the megacity for Dutch companies lie in areas such as smart logistics and supply chain solutions, but also in clean energy (especially wind power), dairy industry, agribusiness, and high-tech. Dutch business, therefore, would do well to more actively explore what Chongqing has to offer them. Dong Chen is MA-student International Relations and Diplomacy at Leiden University and intern at China Relations. This article was first published at the China Policy Institute Blog of Nottingham University, to see the original click here. China spends more money and effort on developing public diplomacy strategies and instruments than any other country in the world. The Chinese government has embraced the ideas of soft power and public diplomacy to an extent not often seen in China with regard to political concepts from abroad. It believes that public diplomacy, or wielding soft power, may help make China’s economic and political rise palatable to the world; contribute to the international recognition of Chinese values and policies; increase the government’s legitimacy; and that it is indispensable in the fight for China’s right to speak and to co-exist with the liberal international world order with its own political model. As Chinese policy makers want to get public diplomacy right, they commission much public diplomacy research and encourage the domestic debate on the topic. Scholars extensively study and discuss other countries’ public diplomacy theories and practices, in particular those of the US. The Chinese government does not simply copy foreign public diplomacy policies, however. 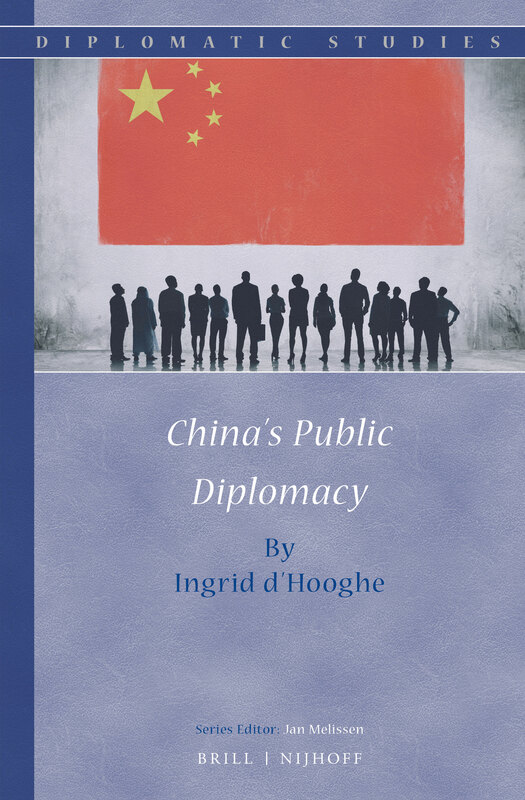 It critically examines Western approaches, rejects, selects and adapts Western ideas and strategies to the Chinese political and cultural context, and simultaneously develops its own concepts and approaches, resulting in ‘public diplomacy with Chinese characteristics’. The call to further develop a distinct Chinese approach to public diplomacy, one that better suits China’s culture and the country’s political model, is also highlighted in a recent article in the People’s Daily by Cai Mingzhao, Director of the State Council Information Office (SCIO), and vice-director of the Chinese Communist Party’s External Publicity Office, two important players in China’s public diplomacy. The article is based on President Xi Jinping’s speech at the National Propaganda and Ideology Work Conference and provides various clues about where China’s public diplomacy is heading. The article first and foremost makes clear that the Chinese government will continue to strongly invest in expanding and improving its public diplomacy and media capacity. It also indicates that after investing for years in building the hardware, or instruments, for public diplomacy, China’s leaders will pay more attention to improving the software of public diplomacy: China’s messages and the use of public diplomacy instruments. Whether or not China’s story can be told well, and whether or not China’s voice can be disseminated well, crucially requires us to look at whether or not audiences are willing to listen and able understand, whether or not they can form positive interaction with us, and engender even more resonance. He calls upon policy makers to address political and cultural obstacles to the dissemination of the country’s messages and argues that, in stead of trying to fit China’s messages into foreign discourses, they need to develop and introduce their own Chinese discourse, with new formulations and concepts that better explain Chinese views and policies to the world. Language expresses a country’s culture and history, and many words and concepts cannot simply be translated into another language. Chinese and Western people indeed often mean different things when they use the same English words. This process can be helped, in Cai’s view, by a strengthening of what China considers its primary instrument for public diplomacy: the Chinese media. In the past decade Chinese media organizations have ‘marched out’ and established an impressive presence all around the world. Disseminating more messages, however, does not mean that China’s voice is also better heard and the effectiveness of China’s costly media expansion is increasingly questioned in China. The Chinese government is aware that in many parts of the world their media products do not score well in terms of attractiveness and credibility and that in the global competition for people’s attention, they are no match for western or other country’s international media companies. Cai, therefore, proposes a more strategic and innovative approach to media work involving the indigenization of media organs. This means Chinese media companies abroad will increasingly hire local staff members who are able to fine-tune messages to the local situation and who can develop the type of programs that local audiences like. Foreign local staff will furthermore add credibility to Chinese media products. This approach is quite successful in some parts of Africa, where the Chinese media stand out by providing a platform for African people to discuss their ideas and points of view. It is highly questionable, however, if this will also work in other parts of the world where credibility is a bigger issue, local media are well developed and people can choose from a wide variety of media channels. Cai’s other suggestions include expanding the role of subnational public diplomacy in China. In recent years the Chinese government has encouraged provincial and city governments, in particular those in the country’s Western border areas, to reach out to audiences in neighboring countries, with whom they are more familiar than the central government in Beijing and where ethnic minorities on both sides of the border often share language and customs, facilitating cultural exchanges. Local authorities in Yunnan, Guangxi and Xinjiang, gladly seized this opportunity to raise their profile, boost tourism and attract foreign investment and are now actively involved in promoting China via local-level cultural, media and educational cooperation projects in Southeast and Central Asia. In his article, SCIO director Cai thus envisages a long-term socialization process in which China seeks to make foreign audiences familiar with Chinese history and culture, and as a result, more open-minded towards China’s ideas and messages. This is not a new idea, Chinese academics have long pointed out that the understanding of Chinese culture, ideas, and concepts is a prerequisite for acceptance of China’s policies by international publics  but Cai’s article suggests that China’s public diplomacy will increase its focus on creating acceptance of China’s political path. Ingrid d’Hooghe is Senior Research Associate at The Netherlands Institute of International Relations ‘Clingendael’ and Research Affiliate at Antwerp University.